Thank you for visiting our website today! Your being here is special to us. This website is intended to assist you in learning more about us…helping you meet new friends…finding where to meet your needs…and discovering opportunities for worship, fellowship, training, and ministry with us. Each week we come together to grow as followers of Christ, learn from His Word and welcome those from our community to join us in worshiping and praising our great Savior. We gather to worship on Sundays at 10:00 AM, as well as coming together at 6:00 PM for Sunday School. Our mid-week services meet on Wednesdays at 7:00 PM and our small groups meet at various times throughout the week. We exalt one Savior, Jesus Christ…we proclaim one message…His Gospel…and we desire to demonstrate His love to our world. To understand more about our purpose and why we exist, we invite you to read our BELIEF STATEMENT. A Baptist is first a Christian and so shares with all other true followers of Jesus the essential beliefs of Christianity: the Bible is the word of God, the Deity of Jesus Christ, the atoning death and bodily resurrection of Jesus, and that eternal life is the gift of God received by faith in Christ apart from works. There are, however, some beliefs that distinguish Baptists from other Christians. One of those doctrinal differences gave rise to the very name, “Baptists” and is known as Believer’s Baptism. Simply stated, only those who have believed in Jesus as their Lord and Savior are candidates for baptism. Their baptism (by immersion) is a public declaration of their faith in Christ, and their desire to follow Him. Our Sunday morning worship service begins at 10:00 AM and ends around 11:30 AM. We offer childcare in our nursery for infants through age 4. How many people go to Hillside? 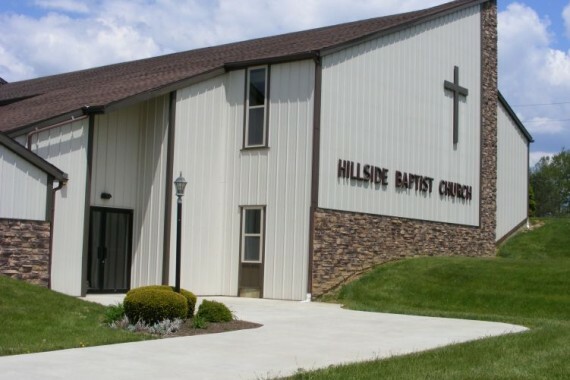 Hillside has a very friendly Church family that averages between 120-135 people on any given Sunday morning worship service. Our Sunday morning service offers nursery for children under 5 years old. Children’s Church meets during the second half of the morning worship service for children in Pre-Kindergarten through 4th grade. Nursery is also available during the evening Sunday School time. We have 2 parking lots. 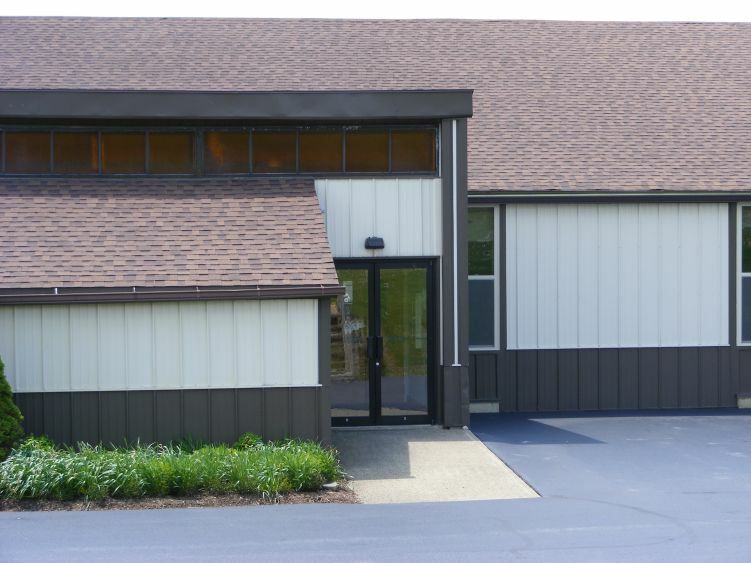 The lower parking lot is larger and services the lower level of our church. 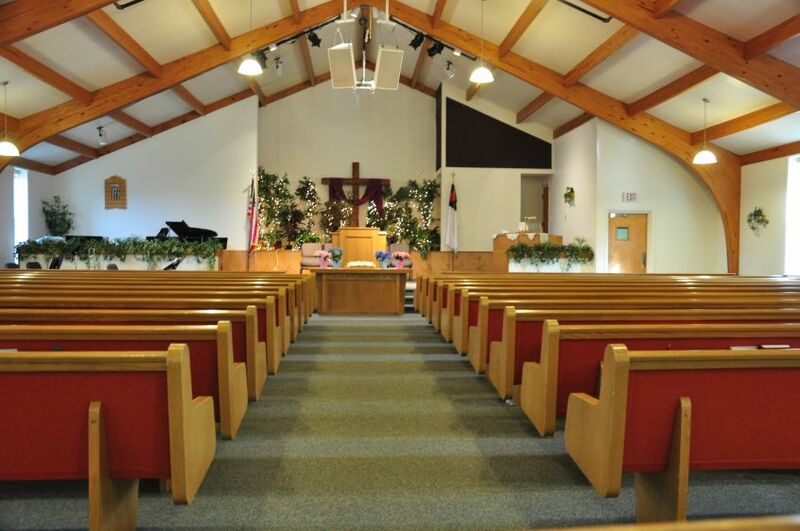 Sunday school rooms, fellowship halls, and the gym are found on the lower level of our church. There are steps as well as an elevator to take people to the second floor where the worship center is located. There is also an upper parking lot with spaces for those who prefer to walk directly into the worship center. Where do I go when I come inside? When you come into our church, you will be met by one or more greeters who will welcome you and give you a bulletin. In that bulletin you will find the order of service, upcoming events, and a short overview of our Pastor’s message that morning. 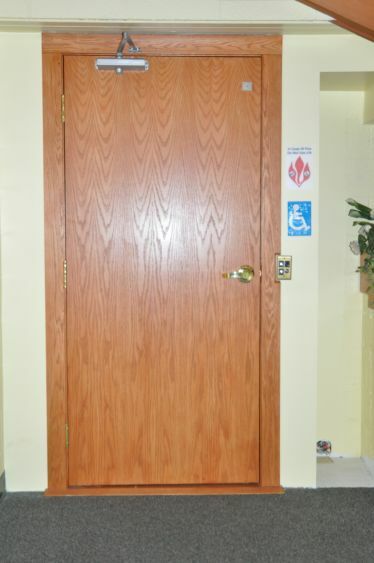 Our sanctuary is equipped with handicap accessible bathrooms as well as an elevator to connect the lower entrance to the worship center. There is handicap parking in the lower parking lot. The upper parking lot is also used for handicap parking. You are welcomed to sit anywhere that you feel comfortable. If you know someone who attends here, or you are meeting someone, just ask the usher and he will be glad to connect you with that person. We want you to be comfortable here! You won’t be taking “someone’s pew”! We take an offering during the service. The offering provides income for our Pastor, funds our church ministries, our missionaries, and our church outreach to the community. The offering is an opportunity for our members to support this ministry. It is not expected that our guests contribute to the offering. We are glad that you’ve decided to worship with us!! Our music is a combination of traditional hymns and contemporary songs that glorify our Savior. We use the acoustic piano, synthesizer, and organ as our main instruments. We also have a small group of instrumentalists that include clarinet, trombone, baritone, trumpet, and sax. We enjoy singing, and believe that it is an important way for the whole congregation to actively participate in the worship time. 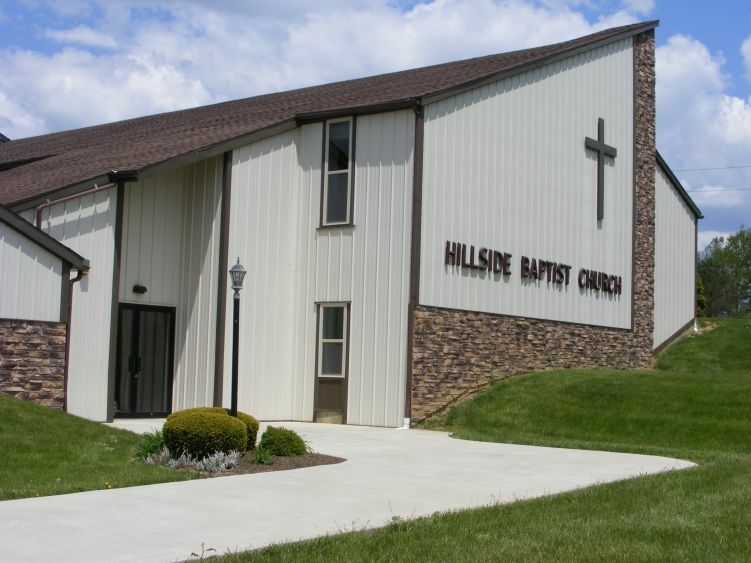 When you walk into Hillside you will see some men wearing suits and ties, and others wearing casual slacks and golf shirts. You will see some ladies wearing dresses and others wearing slacks and blouses. When you come to church we want you to dress comfortably, and in a modest way. Your time with us is most important to us. Each week, Pastor Brittingham preaches Bible-based messages explaining the truths of God’s Word while making strong connections to our personal walk in the world. He challenges us to join him in reading and studying God’s Word. We encourage you to bring your Bible, or use the Bible in the pew as you experience the power of the Scriptures. There is a Sunday School class for all ages! Our Sunday school runs on Sunday evenings from 6:00-7:00 PM. We provide a nursery for babies, as well as classes for toddlers, preschool, and school-age children. We also have an active youth program that uses the Word of Life curriculum, as well as classes for adults. All of the classes take place on the first floor of the church. Do you have small group Bible Studies?